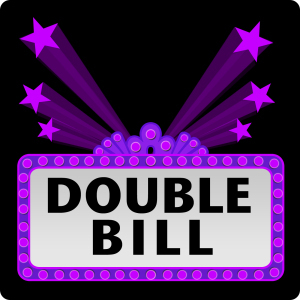 This month’s Double Bill theme: parody, gangster and noir-style. 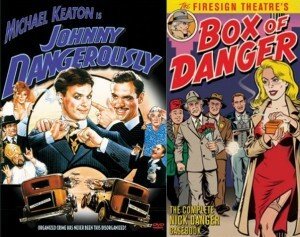 Offered to you by Brian Watson-Jones is the film Johnny Dangerously (1984) and the audio program The Further Adventures of Nick Danger by Firesign Theater. Brian also brings along a special guest, the actor, writer, and finely-dressed man Ben Tallen! Don’t worry, there’s an episode in here, despite discussion regarding Josh’s further slippage into super-villainy, comparing Val Kilmer to a microwaved peep, and the many, many product placements. Maybe if we mention Rocky Rococo Pizza and Pasta, located in scenic Brooklyn Park, MN, we’ll get some free pizza. But probably not.